HUAYUAN is a leading Shanghai based company, who specializes in the design and manufacture of NFC / RFID card. 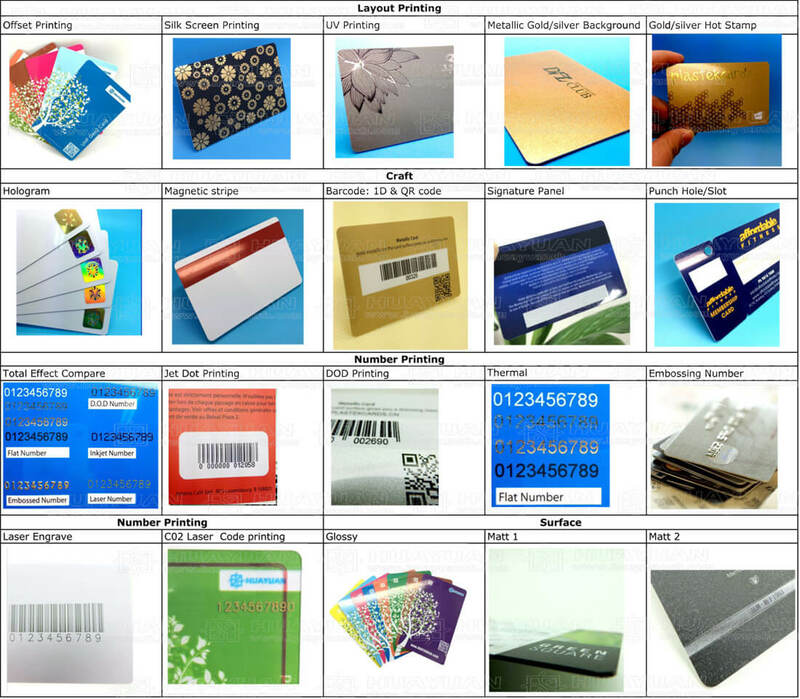 Our main products are contactless card, contact card, PVC printing card etc. We are familiar with Heidelberg offset printing printers, pre-lamination RFID card transponders by assembling copper wire embedded antennas on PVC sheets and RFID modules,sandwich pre-lamination and printing parts as well as precise punching and shaping equipment. HUAYUAN delivers millions of RFID cards every month into the global market, especially into European and USA market. Our experienced engineers and specialized team of workers check every single card for quality and performance to ensure the reliability in every corner of the world. SLE4442 / 5542, SLE4428 / 5528 etc. AT24C01, AT24C02, AT24C16, AT24C64, AT24C56, AT88SC102 etc. 125Khz: EM4200, EM4102, TK4100, EM4450, EM4305, ATA5577, ATA5567, T5557, HITAG 1, HITAG 2, HITAG S256 etc. 13.56Mhz ISO14443A: MIFARE Classic®, MIFARE® DESFire®, MIFARE Plus®, MIFARE Ultralight® etc. 13.56Mhz ISO15693: ICODE® SLI, ICODE® SLI-L, ICODE® SLI-S, LEGIC MIM256, TI208 etc. 13.56Mhz ISO18092: NTAG® 203, NTAG® 210 Micro, NTAG® 210, NTAG® 212, NTAG® 213, NTAG® 215, NTAG® 216, Topaz512 etc. 860-960MHz Gen 2: UCODE®, MONZA, HIGGS etc.